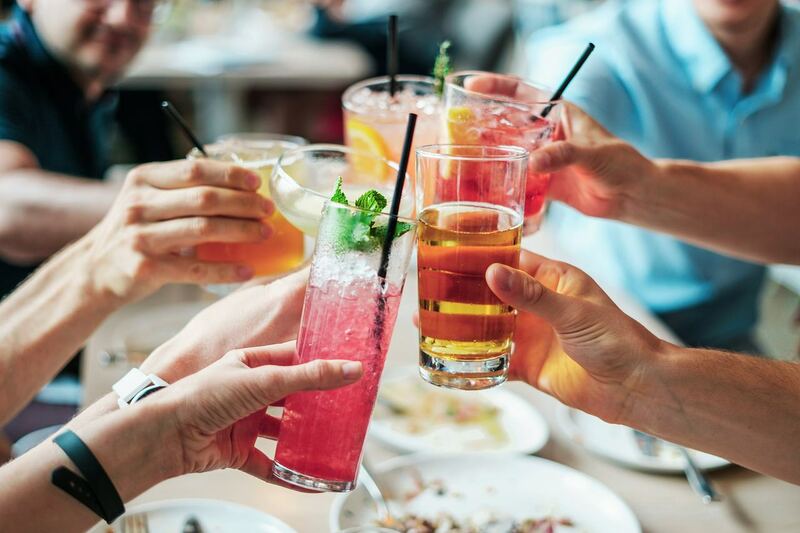 Online reviews are increasingly driving a number of industries to become more honest and transparent about who they are, and even change their practices to suit the demands of their customers. Booking a holiday? Head to TripAdvisor! Thinking of buying a new vacuum cleaner? Head to Which and check out the reviews of hundreds of models! It seems even the smallest of “buying decisions” comes with an online review, so it’s no surprise that candidates considering a career move are taking the time to research potential employers before they apply. The site they are heading to most? 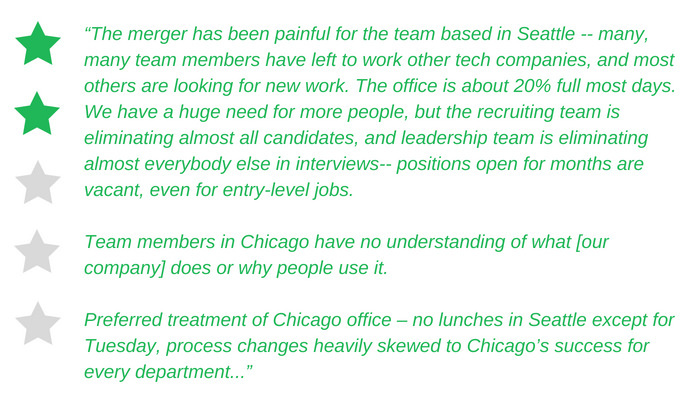 Glassdoor: The online site that hosts millions of global company reviews, CEO ratings and salary reports. The average Glassdoor Company rating is 3.4/5, which is made up of a combination of excellent employers such as Google (4.5 rating) and Facebook (4.4 rating) alongside companies who have a heavy stream of dreadful employee reviews. Even the best employers fall victim of the occasional “toxic employee” who chooses to vent their frustrations on the platform, so whether you are combatting a stream of complaints or simply want to work your way to Glassdoor’s Best Places to Work list then here are 6 steps to help you get there! Pull up a search for your company on Glassdoor, take a deep breath and brace yourself for the results! 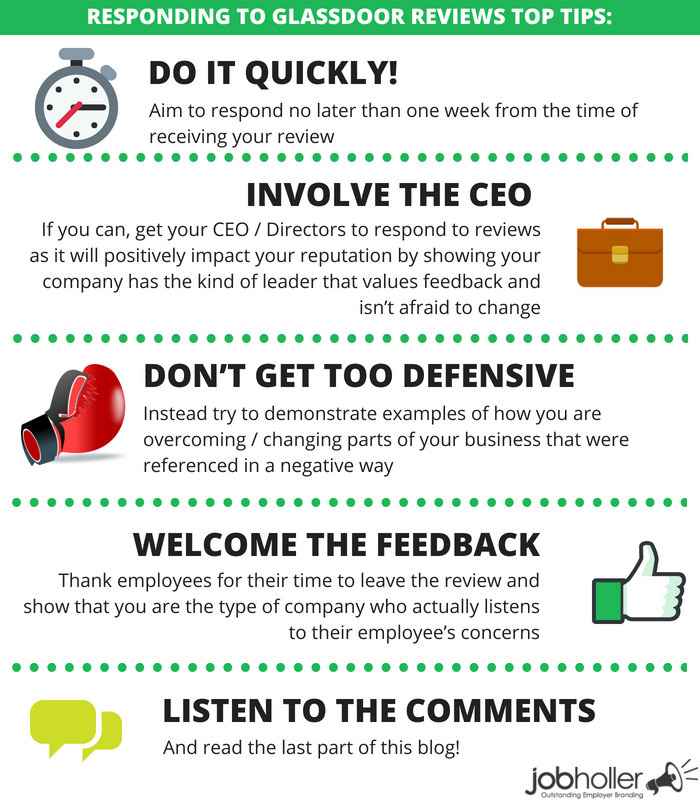 Often there will be reviews on here that you categorically disagree with, but the best thing to do is keep your cool, take on board what you see and remember that this is the first step to transforming your Glassdoor presence! The majority of companies that have a good Glassdoor rating will have got there through having a strategic plan, and this is exactly what you are about to do. 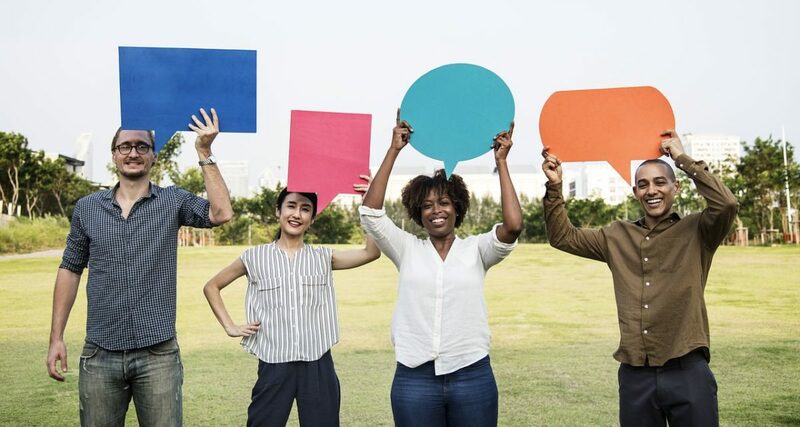 Don’t be surprised if you are faced with lots of negative reviews, after all it’s always the disgruntled few employees that choose to vent their opinions online, where as happy employees are less likely to review (without prompting) because they have no real reason to! If however you spot a trend where a high percentage of employees are leaving negative reviews then your route to improve your Glassdoor rating is going to be a bit more tricky (we’ll get to that in point 6), because only great companies can achieve great Glassdoor reviews! If you have a toxic culture and are ignoring potential issues then no amount of online reputation management is going to get your unhappy and disengaged employees to leave you a glowing Glassdoor review! Claiming your Glassdoor profile is really easy and free to do. All you’ll need is access to a company email address to verify that you have permission to act on the company’s behalf. Once you’ve got access you’ll be able to login and see your full profile activity with analytics of who has visited your profile, as well as be able to update your specific company information. 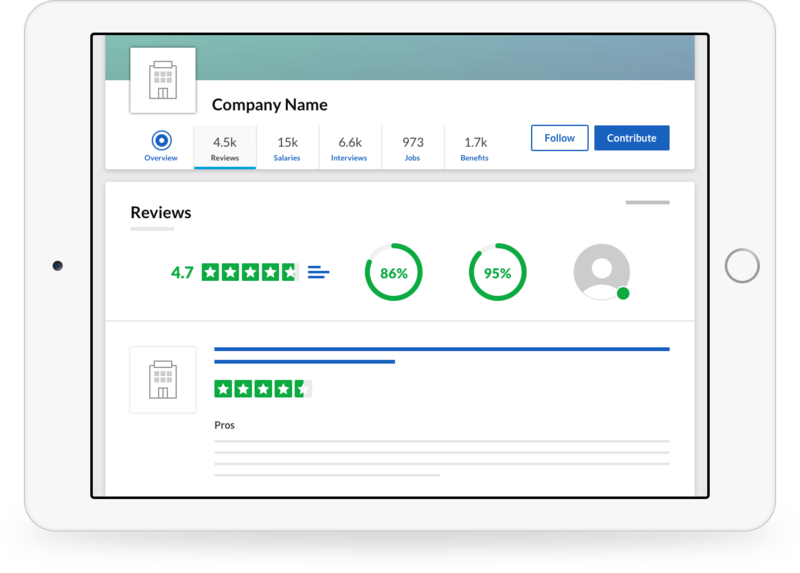 There is also a paid option which can unlock additional features such as the ability to pin your best Glassdoor review to the top of your page, but you do not need to spend money to improve your Glassdoor rating. OK so you’re going to want to make a set plan of how you are going to improve your current Glassdoor rating without just asking everyone to give you a 5-star review on the same day (which to an outsider looking in will only look forced). Approaching your Glassdoor plan in this way also means that you’ll get a stream of great reviews in one go, so any negative ones that come in after this point then jump straight to the top. You may have improved your star rating, but people dropping onto your page to read employee reviews are likely to only check out the top 3 posts (which if you’re not careful might not include those 5 star reviews you got from your happiest employees!). First thing you’ll want to do is pin-point who your happy and engaged employees are – because these people are going to be your best asset for transforming a poor Glassdoor score into a great one. Secondly, you’ll want to create a schedule to request reviews from each person. If you can draw this out over a long period it will mean you get a steady stream of positive reviews without looking like you’ve asked your employees to do so. We would suggest starting with senior members of the team / managers because they are more likely to understand the strategic goals behind the Glassdoor plan, and they can then look to promote this to their own teams as the plan develops. A schedule to request reviews is a great idea for any company, but make sure you don’t just stick to this and you also think about the key “moments of truth” that happen within your company. This could be after employee appraisals / pay reviews, company trips away, fun social events, team celebrations etc. If you can catch your employees at these "peak highs" then they are more likely to leave positive reviews on your Glassdoor profile off their own back. You’ll also be able to track the times that you may want to hang back on asking employees to review such as times when workloads / stress levels may be increased as it won’t always show your company in the best light. This is a great example of a response done well. It acknowledges what the individual is saying without being overly defensive, it shows what the company is doing to change this and demonstrates how a leader is listening to employees. The overall sentiment of the response is positive and it combats a lot of the negativity from the original review. 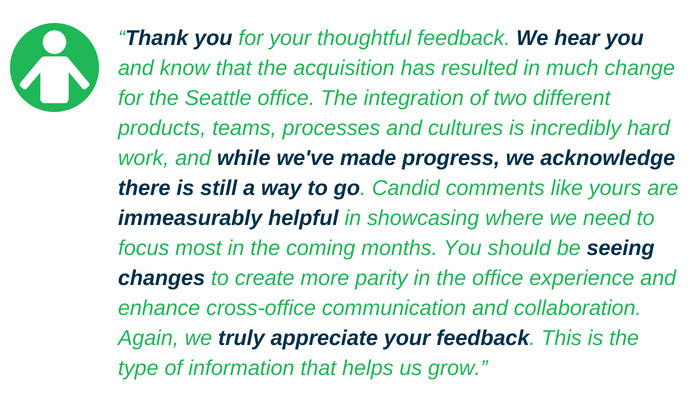 Check out some other examples of great Glassdoor responses in this article. Remember, there is no point improving your Glassdoor rating on the surface if the negative points your employees raise are actually true. Doing this will only impact negatively on your retention levels (and probably land you back where you started in a few months). Instead think of your Glassdoor as a platform that gives you regular and honest feedback from employees (past and present) so you can identify what is, and isn’t working. Chances are you’ll identify trends in comments and feedback before it spirals into a bigger problem in your company and you’ll have the opportunity to listen, react and implement change before this happens. For example if you receive consistent complaints about work-life balance you might want to introduce a flexi-time option for your employees to combat the issue (before everyone hands their notice in and jumps ship to a competitor). 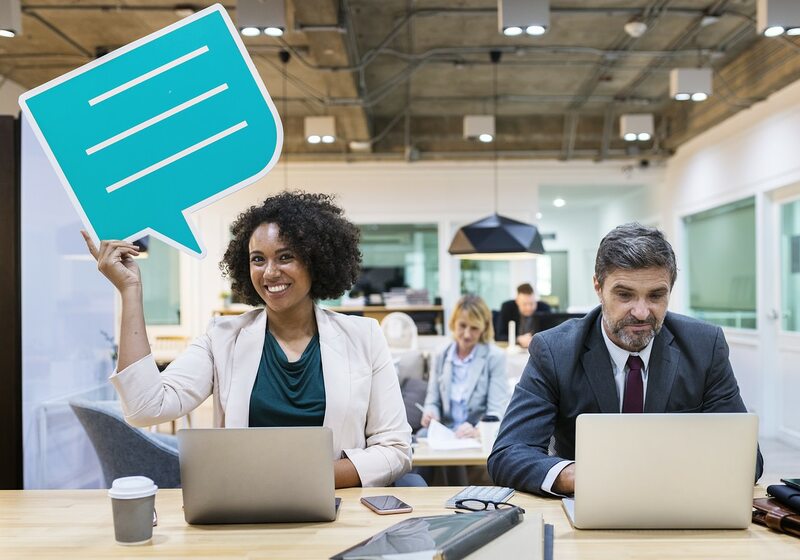 Ultimately, a positive Glassdoor review starts with a great employer so no matter where you are with your Glassdoor journey remember to take on board all comments and look to improve from within! Also check out our blog on "Unlocking the power of Glassdoor" for your business.